Test and measurement company, Rohde & Schwarz, invited me out to the Design West conference to present a couple of EMC design and troubleshooting talks. Little did I know these were to be held in their new “classroom in a truck”, which was driven right into the exhibit hall! 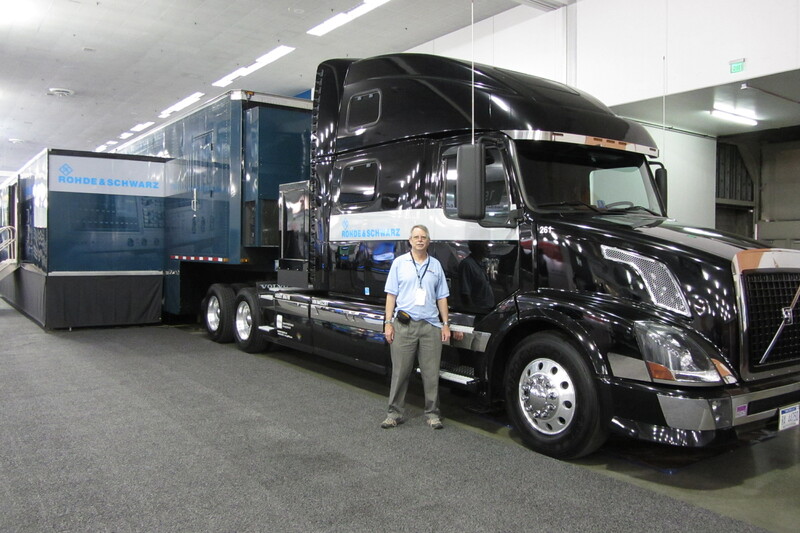 Figure 1 – Here I am standing next to the truck. It’s difficult to get an idea of the size of the trailer from this point of view. Figure 2 – Here I am teaching a class of 24 engineers in the expandable classroom. Figure 3 – Here’s a better view of the trailer. There are two large “slide-outs” which expand the classroom to 24 seats, plus room for equipment demos around the perimeter. 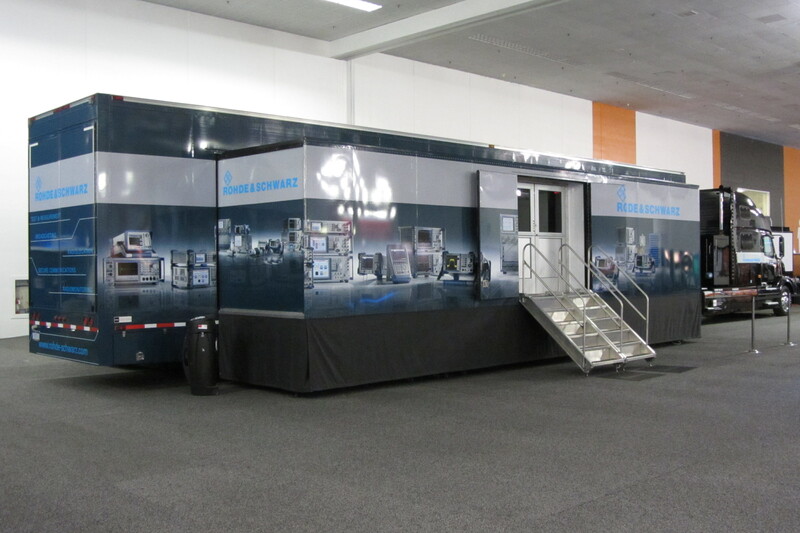 They plan to use this mobile classroom for their “truck tour” of major cities this year. The Design West show evolved from the Embedded Systems Conference (ESC), at which I’ve presented my EMC seminars in the past. This year, was more of the same – just 10X better (is that a 10 dB increase?) with a couple hundred vendors plying their embedded processors, I/O and sensor products. Thanks to Rohde and Schwarz for hosting my seminars there this year!